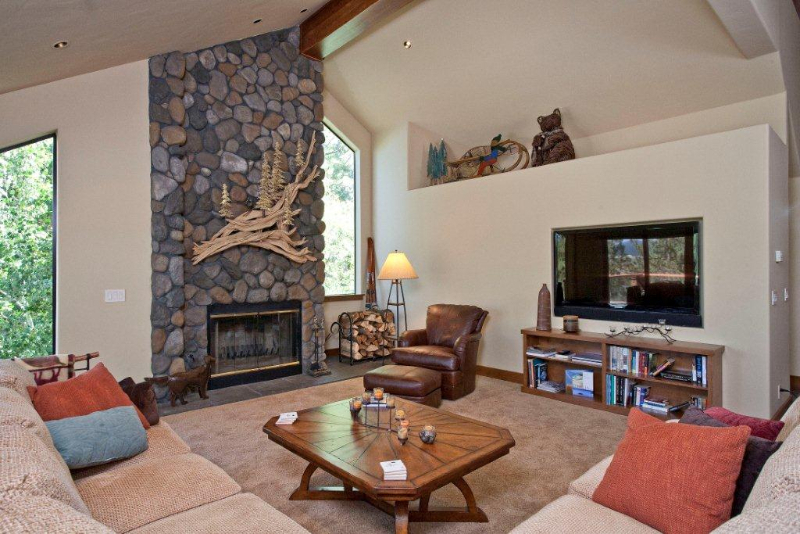 Skidder Trail was a remodel of the complete upstairs of this residence on Skidder Trail overlooking the golf course Northstar. We took a very dated 30 year old interior and updated it to the owner’s current classy tastes. 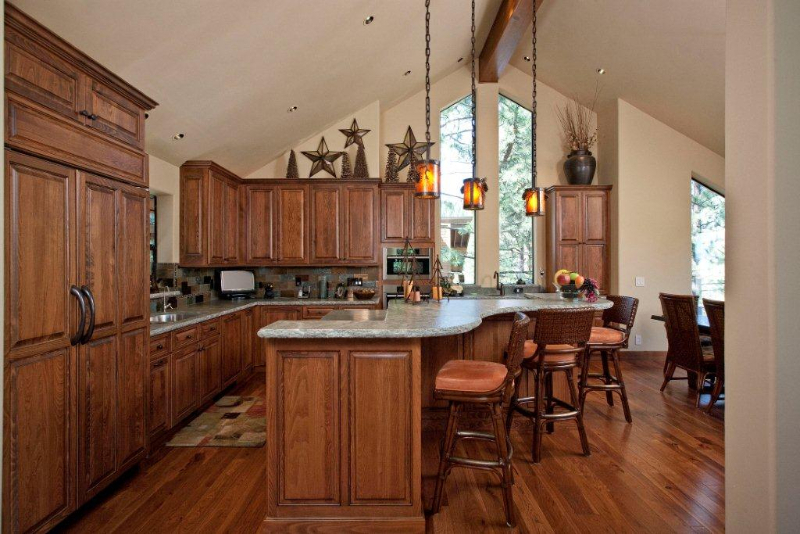 The design of the kitchen was done in conjunction with the Betty Scott (BettyS@ttlco.com) and Marcio Decker in the design division of Home Concepts in Truckee. 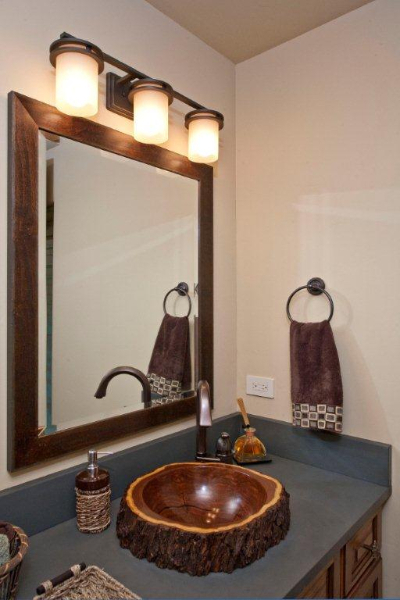 The cabinets came from Home Concepts of Truckee and are made of a stained Beech wood. 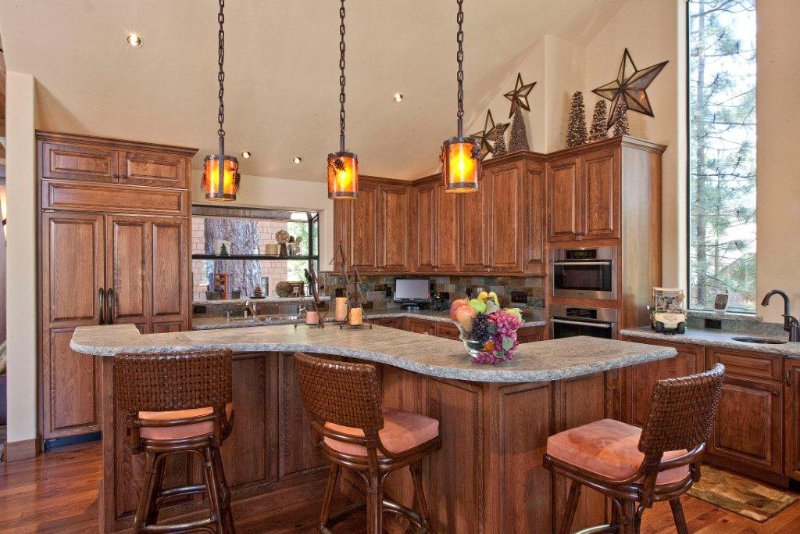 The spectacular granite counter tops were installed by Haze Tile and Granite. On the insistence of Jim Riley, the curved island top was fabricated from one solid piece to stone so that there are no seams to distract from its massive beauty. 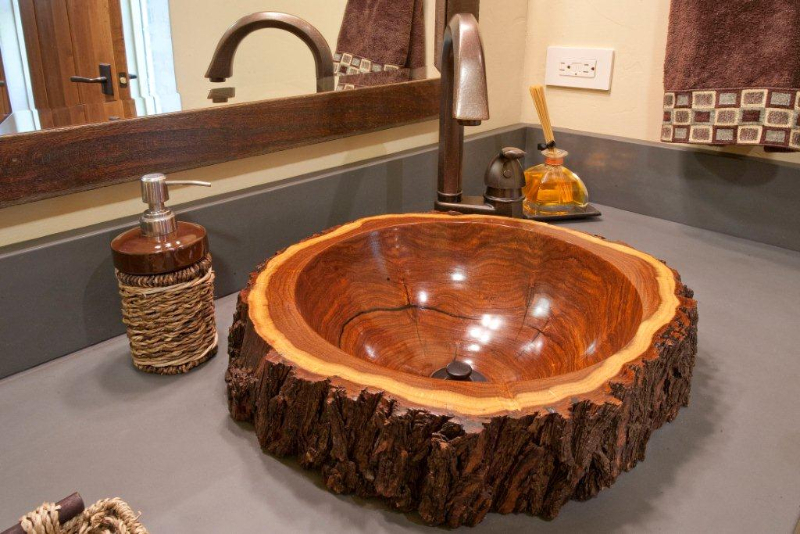 The interior design was completed by Molly Gramm of Home Outfitters (molly@homeoutfitters.us) in Truckee. 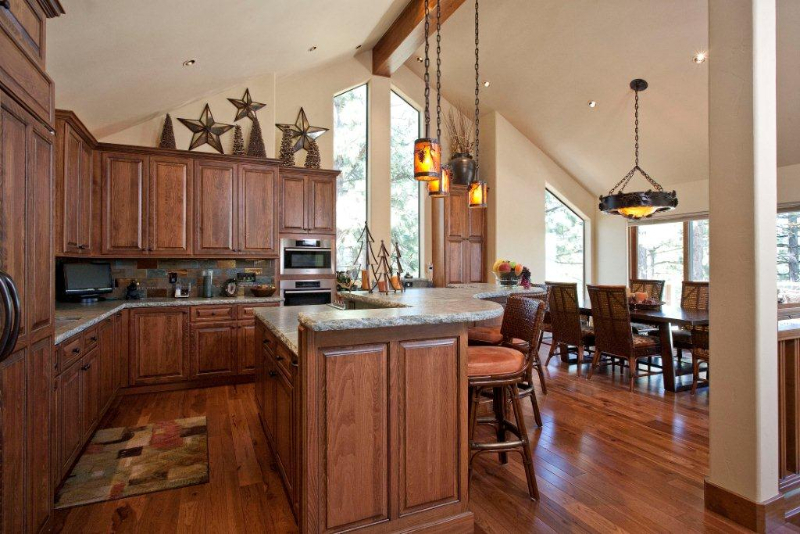 All the interior trim and doors were provided by High Sierra Custom Doors in Truckee. The metal grip rails were provided by Mountain Forge. 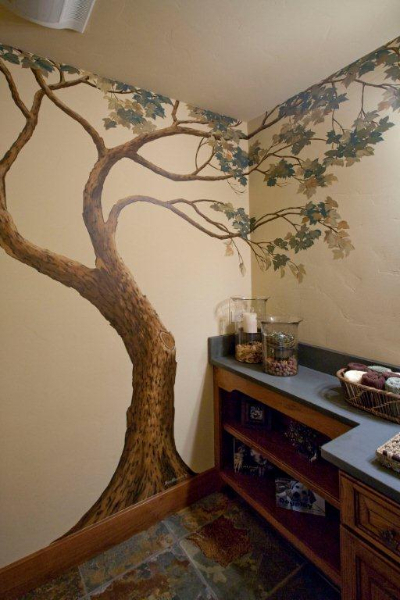 The mural in the bathroom was done by Susie Alexander. 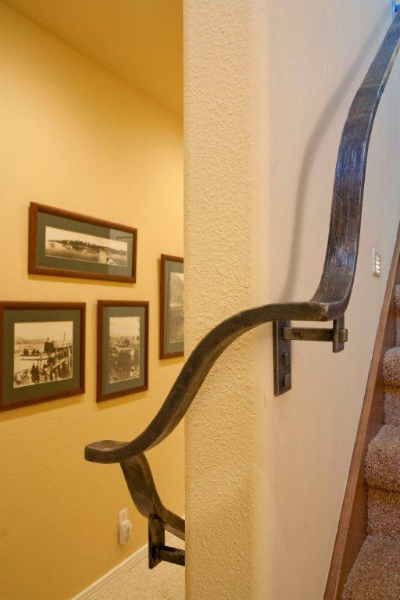 The owners were so completely thrilled with how the upstairs turned out, they are looking forward to working with Jim again to complete the update by gutting and remodeling the downstairs in 2013.